Planning for your upcoming day? 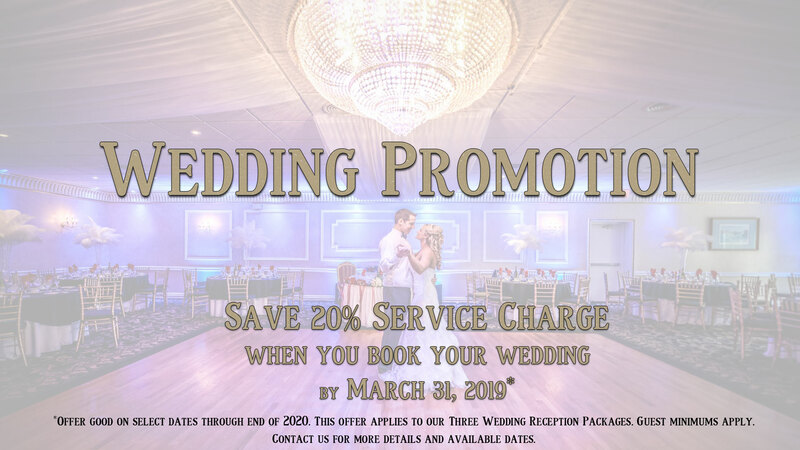 Book before March 31, 2019 and the 20% service charge will be waived on dates through the end of 2020. Some restrictions do apply so call and Let us help you to make your day of celebration memorable! Book your party TODAY save. Events must be celebrated by December 31, 2020. *This cannot be combined with any other discounted offer.